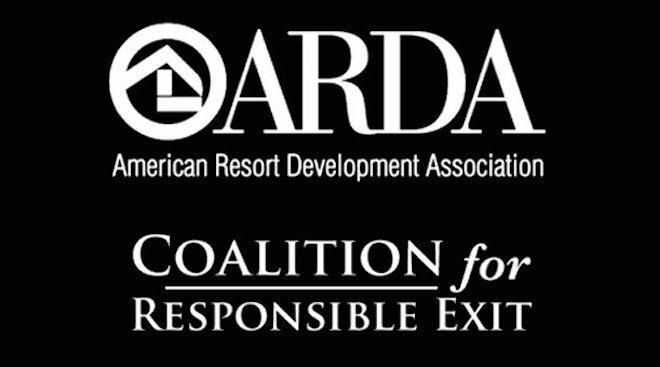 The American Resort Development Association-Resort Owners Coalition (ARDA-ROC) is backing a bill that provides consumers with many of the same protections they are afforded when they originally purchased their timeshare. Defines what constitutes timeshare exit assistance or relief services, and clearly identifies and prohibits timeshare exit industry practices that are harmful to consumers. Requires written agreements prior to performing the promised exit services, the delivery of important information to the consumer prior to entering into any agreement, and provides consumers with a meaningful cancellation right. Protects consumer funds by prohibiting advance payment or requiring escrow of such funds until promised services are completed. Prohibits false and misleading representations used to recruit consumers to engage an exit company. Wesley Financial Group, Reedhein & Associates, which does business as Timeshare Exit Team, and at least two other companies, operating in the timeshare exit space, have hired powerful lobbyists to fight the bill, but ARDA-ROC, which represents more than 1.5 million timeshare owners, is backing what it regards as common sense regulations. ARDA-ROC chairman Ken McKelvey said: “These exit companies are strongly against this bill because it eliminates their ability to take upfront fees, in many cases in excess of $5,000, until the service they promise is delivered. The timeshare industry, with more than $9.6 billion in annual sales and over nine million owners strong, has become a target for unscrupulous individuals and companies. Many third-party exit companies present owners with misleading information, often using scare tactics, in order to get unsuspecting owners to sign up for services that require large upfront fees. “We need to protect our owners from becoming victims. Owners are being scammed and told information that is not true by third-party entities. As a result the industry is moving to communicate better with owners who want to understand what options are available for exiting their product,” added McKelvey. US States are cracking down on these deceptive practices. Most recently, the Supreme Court of Tennessee disbarred attorney Judson Wheeler Phillips, founder of the Castle Law Group, on a myriad of charges relating to consumer fraud complaints. Robert Clements, Vice President of Regulatory Affairs and General Counsel for ARDA, said: “The constant pressure that our member companies, owners and federal and state agencies are putting on disreputable timeshare exit companies has again produced a positive result for the consumer.